Black seed oil is extracted from the rectangular shaped seeds of the nigella sativa plant. These seeds are also commonly known as black cumin. Centuries ago the seeds were popular with the Ancient Egyptians for being a cure-all for a variety of health conditions such as headaches, toothaches and even as a dietary supplement. The oil is effective in stabilizing the human immune system and combatting any diseases which affect the immune system. Many different cultures have known and used the oil of the black seed or the blessed seed, for thousands of years. The results of several studies have proven black seed oil to be an effective treatment for inflammation and as an antibiotic and anti-oxidant. Therefore it is a top pick for strengthening a compromised immune system and fighting infections, making it a suitable treatment for the following conditions (despite the fact that further research is necessary). The most common form of cancer in humans is skin cancer. Squamous cell carcinoma is the most diagnosed of this type of cancer. Black seed oil has a specific countering effect against skin cancers. Thymoquinone is an extract obtained from the black seed. It directly affects squamous cell carcinoma, which inhibits cell reproduction and eventually causes death. Psoriasis is an uncomfortable and often unsightly skin condition in which the skin in certain areas of the body appears irritated, sore, scaly and itchy. It is a result of the abnormal growth of the cells of the epidermis as a result of problems with the immune system. Black seed is effective in regulating the immune cells and in controlling the symptoms of psoriasis when applied topically to affected areas. Eczema is an uncomfortable condition in which patches of the skin become inflamed, itchy and sore. Scaling and weeping is also possible. The emollient and nutrient filled properties of black seed oil are a great benefit to skin afflicted by eczema. Studies have shown that rubbing the affected areas twice daily with the oil is even more beneficial than steroid based treatment as there are no known side effects with the oil. Acne can come about from a number of different factors and unfortunately can result in scarring of the skin. Black seed oil is an effective treatment for reducing the symptoms of the condition. It can help the skin to heal and lower the risk of scarring. Black seed oil has been shown to have positive effects in the treatment of rheumatoid arthritis. The results of one study revealed reduced inflammation in the joints and morning stiffness in the patients that took it. Black seed oil may be a promising new treatment for allergic reactions. The extract seems to have an effect on reducing the swelling that results from allergies. People suffering from diabetes may find some relief in using black seed oil. Results from lab tests carried out with rats showed that black seed oil can reduce blood sugar levels. One teaspoon a day of black seed oil can be an effective cure of a fever or the flu. It achieves this purpose by forcing the body to sweat. 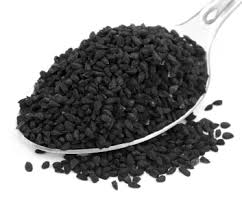 As an anti-inflammatory and anti-bacterial agent, black seed oil is ideal for treating coughs and symptoms of asthma. It does so by relaxing the muscles of the bronchiole tubes. Research reveals that black seed oil can help you to sleep better and more restfully if you are suffering from insomnia. It only takes mixing one teaspoon of the oil into a warm drink before going to bed. The results of studies reveal black seed oil to be a great remedy for relieving stomach issues. It can help regulate digestion and the expulsion of gas. The amount of black seed oil that is needed for each type of treatment will vary depending on a variety of factors. These are based on your health, age and other conditions. Currently, enough scientific results are unavailable to determine acceptable ranges of doses. You should consider the fact that not all natural products are safe to use. Follow the guidelines and directions of each product or confer with a pharmacist or your doctor. Black seed is safest when used in small portions like when it is used as a flavoring in foods. There is not enough evidence to support or disprove how safe it is when taken in larger amounts. It has been found to cause rashes when applied directly to the skin. Its use in food during pregnancy has so far not revealed any adverse side effects. It is, however, unsafe to take larger quantities for medicinal purposes. It can actually affect the ability of the uterus to contract. Due to the fact that there is not enough information about the effects of black seed oil during breast feeding it is best to err on the side of caution and avoid use. You should consult with your doctor if you are considering using black seed oil for treating any chronic condition such as diabetes.